I think I am officially addicted to shopping. I spend so much time browsing in shops and online, and concluded that most of my exercise this week was in fact, when I was shopping. (Hence the blog title). I like to think all of these items were necessary, but let's face it, us girls never really need an excuse! 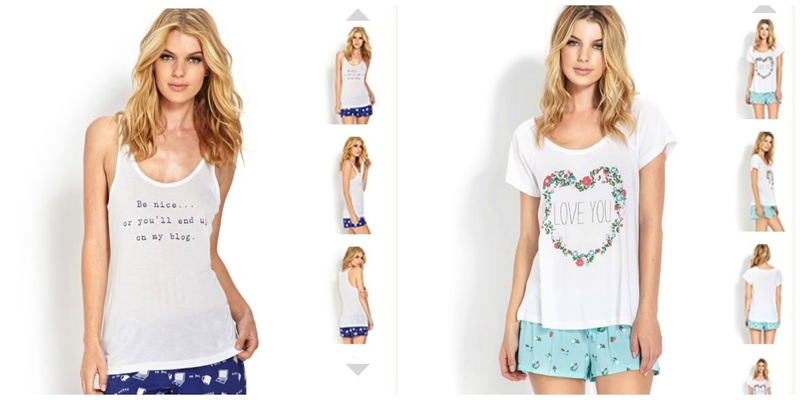 Forever 21 Pyjamas - I've really been struggling to sleep in this heat at the moment! So I thought I would invest in some new pyjamas. When I was in New York I fell in love with Forever 21. The pyjamas are cute and really lightweight, so they are perfect for warmer nights. Both sets are sort of blog themed - the set on the left made me laugh, and the set on the right reminds me of my blog design. These arrived so quickly - I haven't taken a photo of them myself because they are in the wash ready for me to wear them. If it is your first order online with Forever 21, as it was mine, you get £5 off, so I managed to get both sets for £20 including postage. Handmade Custom Swallow Anklet - This order was actually to replace an anklet I already had, and I was so gutted when I lost it! I purchased this from Etsy.com. It is one of my favourite places to shop at the moment. I purchased this from a shop called 'NeverGoNaked'. She has lots of handmade jewellery listed, but I actually messaged her and asked for a custom order. 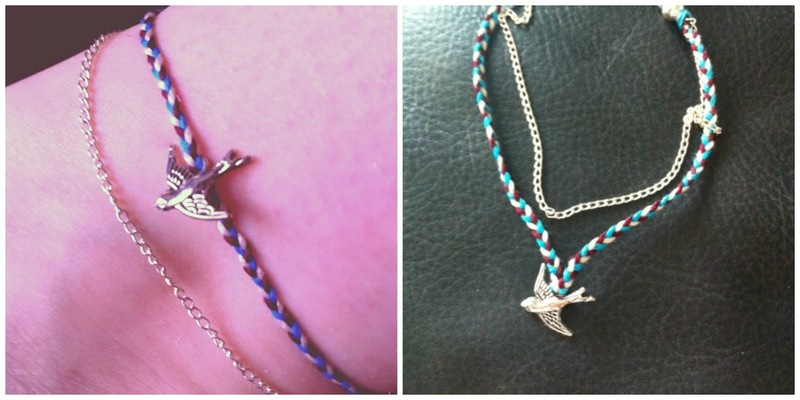 I noticed she had used these swallow charms in some of her other anklets, and I couldn't resist! I'm so happy with the colours I chose, there was so many to choose from! 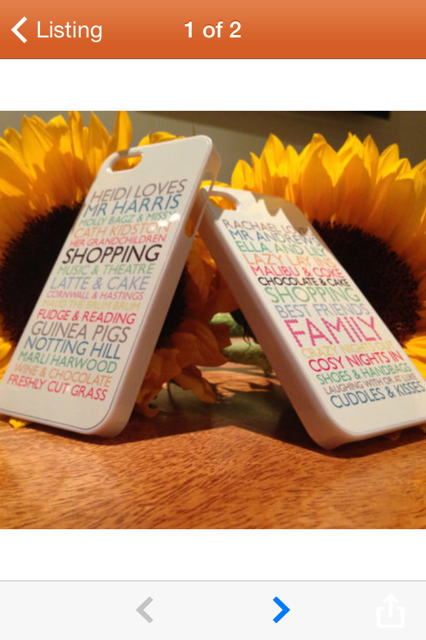 Custom 'Shannon Loves' Phone Case - So this hasn't actually arrived yet but I have a copy of what mine will look like, so thought I would still mention it. I don't think it looks anything special in my proof, but in the picture of the cases already made above, I think they look so cute! I currently have a phone case with lots of photos of family, friends and memories on, but it's starting to really crack on the corners. Also, there's a few people I wish were on the case, and a few people I wish were no longer on there (Awkward!) and so I thought it was time for something new! This was another Etsy purchase. I don't mind paying that sort of price for a phone case when I know no one else is going to have the same thing. Also the shop owner was super helpful - me and hard phone cases just don't seem to get along, but they were more than happy to make this on a rubber case on my request. I love good customer service! New Look : £15 in the sale! New Look White Jewelled Strap Sandals - I have had my eye on these for a while, but didn't really want to pay £30 for sandals, especially with jewels on. I love jewels on clothing and shoes but they always seem to fall out after a few uses and I won't wear any of it once even one gem has fallen out, and find myself so disappointed! When I spotted these in the sale they 'accidentally' fell into my basket within a few seconds. I can't wait for them to arrive and think they are so versatile I won't be taking them off! A lot of people have probably been thinking my blog hasn't been very 'lifestyle' lately, and that is the point of my blog. 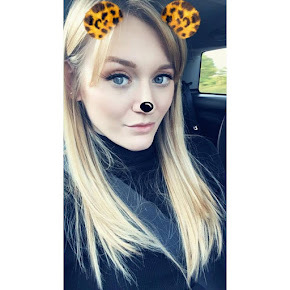 This week I've just been so run off my feet with work experience and exercise and haven't had much going on 'lifestyle' wise to post about. Shopping is a huge hobby of mine so I kind of see it as lifestyle, and I love reading about what everyone else has been buying lately. I promise there are a few lifestyle posts coming within the next few days.